Christmas is always the time when I look back and reflect on the year, what has happened and how things have changed. This year has been a massive year for accomplishments. I have set myself goal after goal this year and whilst I have achieved some, there is still work to be done in others. So here is what has been happening. The ongoing theme this year has been for me to try and improve my self confidence. Figuring out what makes me tick, fixing some of my issues by confronting them has been at the forefront this year. I can honestly say I’ve made more progress in this one year than probably my whole life. Face the things at the back of your mind that scare you. Even the ones you have under lock and key with a “Don’t Open This Door” sign. , If you don’t, they will haunt you forever. People can only treat you badly if you allow them to. On the 16th April 2012 I made the decision to stop smoking. I am the type of person who once a decision is made, I stick to my guns. For stopping smoking, that is a good way to be. Going from 20 a day to zero on cold turkey isn’t easy, but it’s now been eight months and I know I will never go back. If you put your mind to something, you can do anything. I’ve started an Open University degree. This will take about one hundred years to complete, but it’s been something I have thought about for years and finally I’ve bitten the bullet. If someone had said to me at the start of this year that by the end of it I would be posting about the clothes I wear and posting pictures of myself, full length, wearing them I would have told them they were crazy. No way, no how. 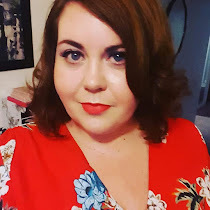 Yet a few weeks ago I started on the plus size blogging journey. I don’t know what I expected actually. Abuse and put downs probably with by my entire Twitter list unfollowing me in horror. Ok slight exaggeration there, but the response that I have received has been awesome. You are not as horrible as you think you are. Put yourself out there, no one ever got anyway hiding in a corner. So there you go. My year in retrospect. What will next year bring? Who knows. But I can’t wait for it. I wish everyone who reads this a very Happy Christmas. Drink too much, laugh too loud, dance away the night and above all, cherish the people that you love. I am so very, very proud of your accomplishments this year! You go, girl! Dream big for 2013! @Clare Brown Thanks Clare! I think it's always good to look back, in order to move forward.